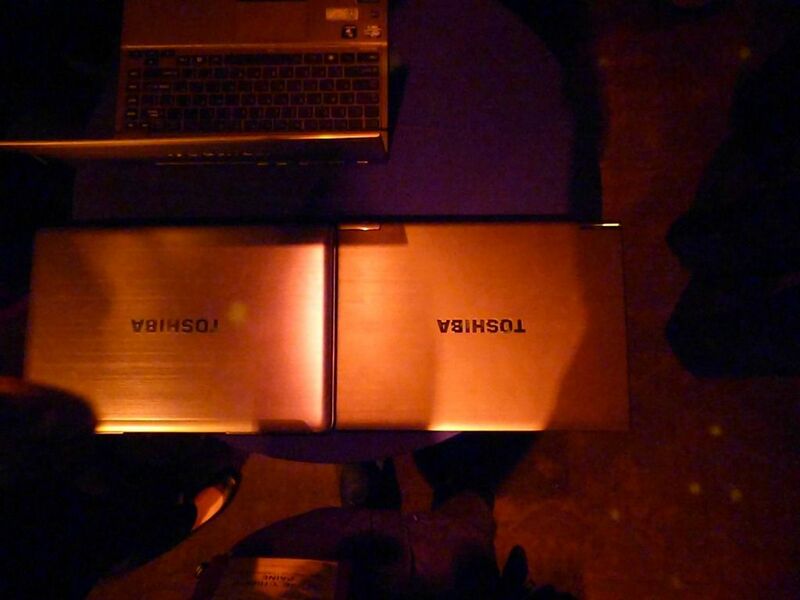 At a Toshiba Press event this evening we got a glimpse of the 14” laptop that will be the next Toshiba (USA) Satellite Ultrabook (not high-end Portege brand as the Z835 is in the USA.) 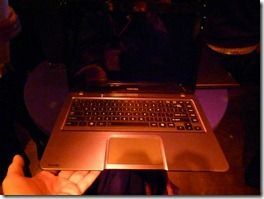 At ‘under 4lb’ it’s not the ultra-light that the Z830/Z835 is but you’re looking at a device that will be cheaper than the Z830 and will be targeted at a more mainstream customer. 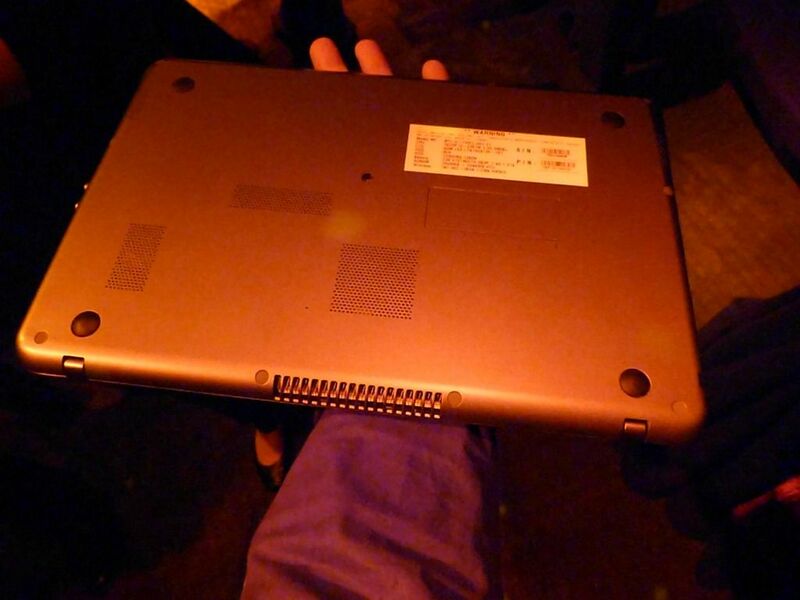 We even caught a brief glimpse of Windows 8 running on it. 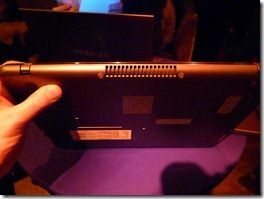 The product is planned for a Q3 release which means, of course, that we’re looking at a potential Ivy Bridge candidate here. 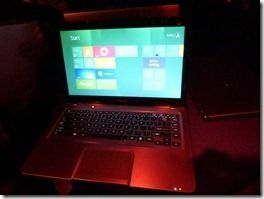 Toshiba wouldn’t confirm this but they didn’t deny it when we asked! 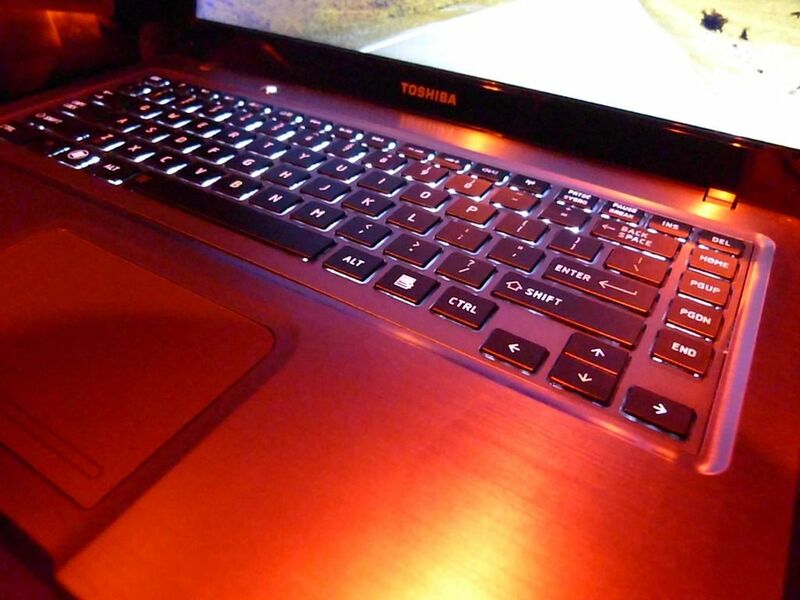 The keyboard is very similar (same feel) as the Z830 keyboard but will only have backlighting in some models. It will run a hybrid HDD/SSD and has a good set of ports. 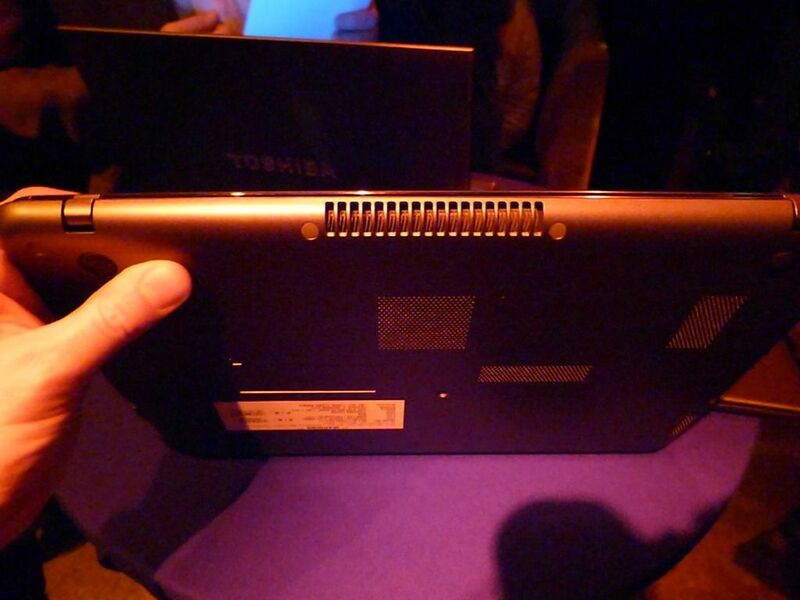 Materials appear good quality although there’s clearly some cost-cutting in the mix as it didn’t feel as high-end as the Z830. 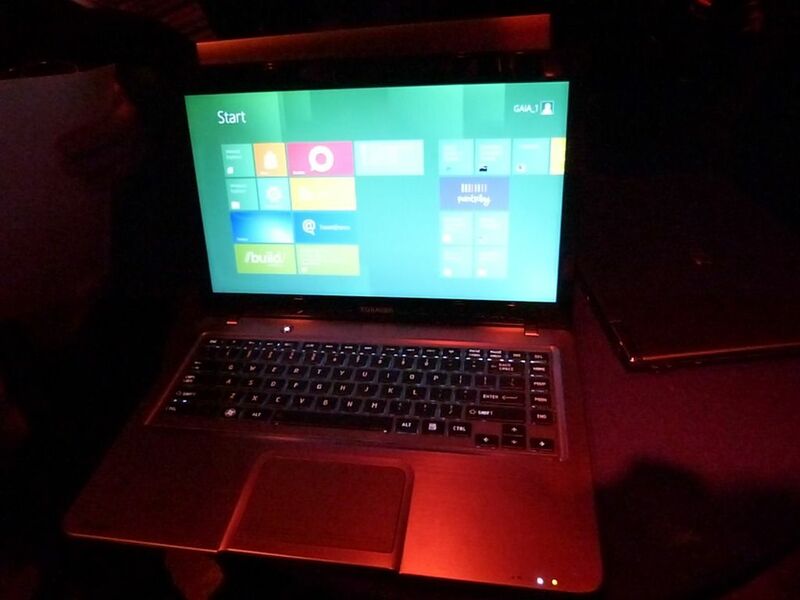 The image set below was taken in a nightclub but we managed to get a few reasonable shots for you, including a brief showing of Windows 8 before the lid was quickly closed by the Toshiba rep! 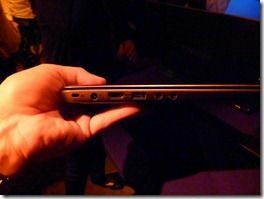 Its stupid to come out with a 14 inch ultrabook. 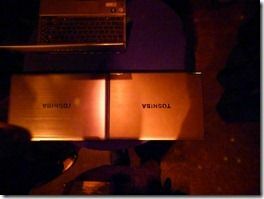 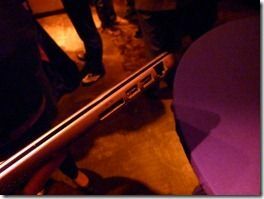 Why stretch the definition of ultrabook so far? 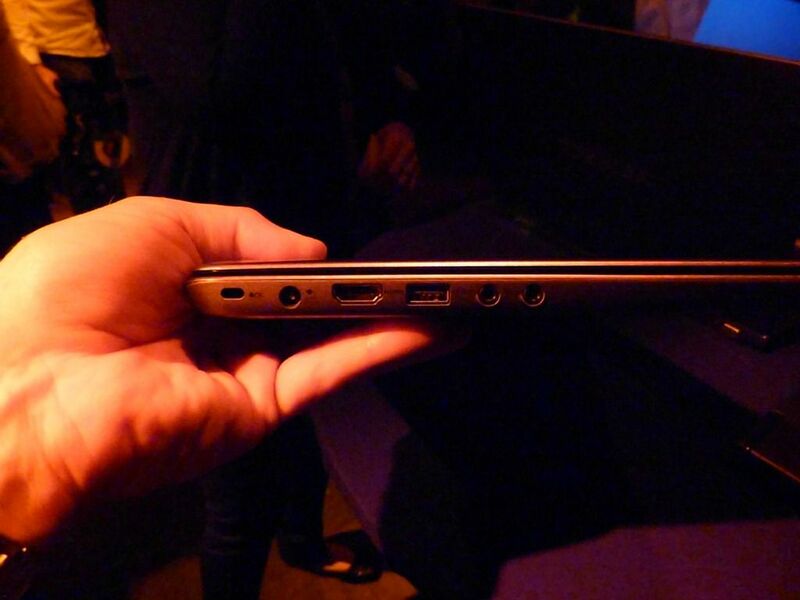 It was originally meant to be light and portable. 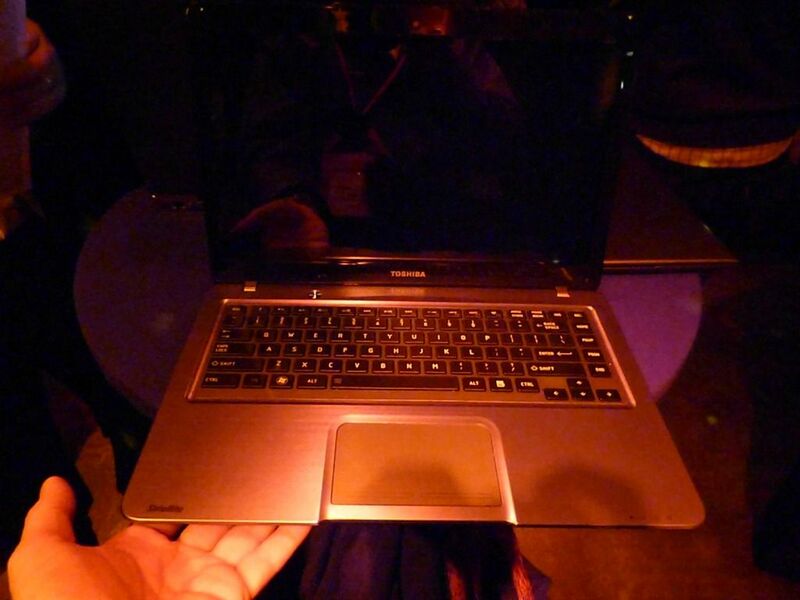 At below 4lb, this is not really light. 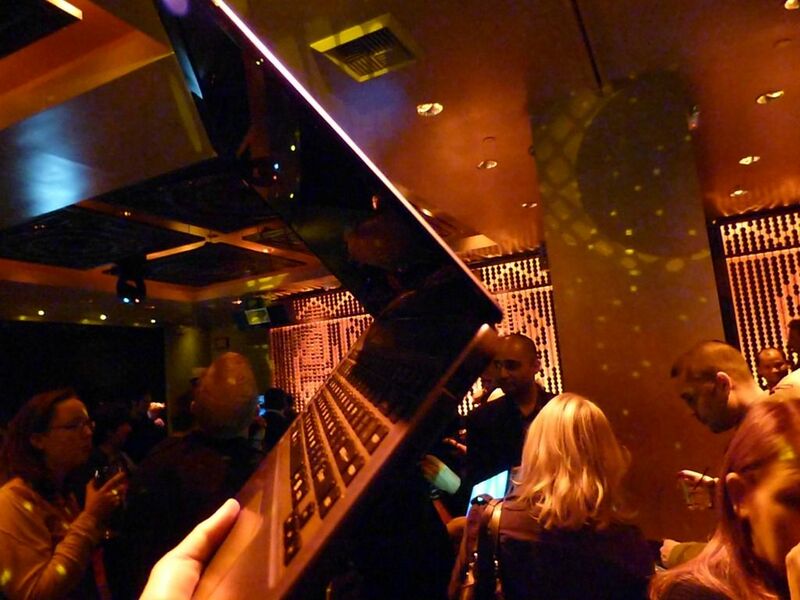 Soon, the 15 inch ultrabook and the 17.3 inch ultrabook will be launched. 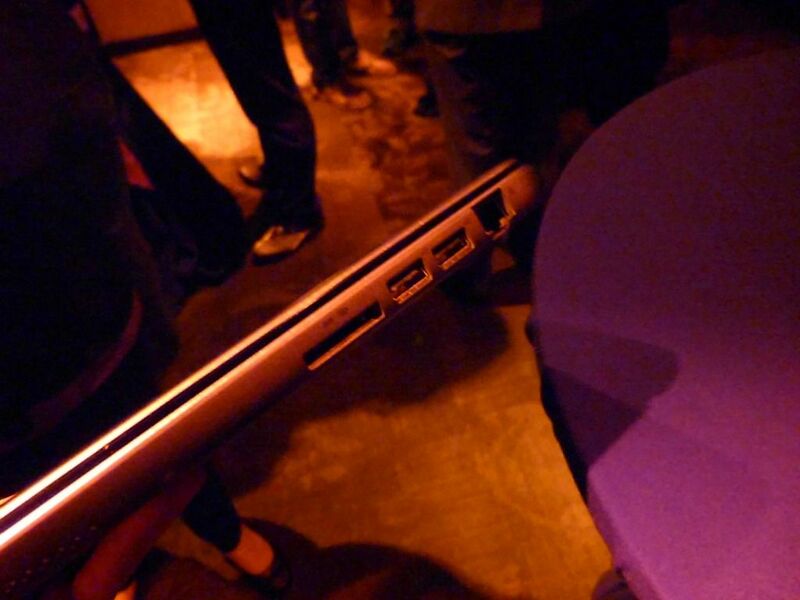 It perverts the original definition of ultrabook.